Game Development, my best game jam entry ended up 6th overall in Ludum Dare! Open source. I aim to write most of my projects with an open license, others may use and or learn from it one day. The latest tech. I’m an avid hackernews reader. Airsoft. Occasionally I join a skirm to practice my 360-noscopes in real life. Skills-wise I have been described as the most versatile developer they have ever seen. I have experience writing code for any part of the stack. ⚒ Under construction.. I am slowly adding projects. 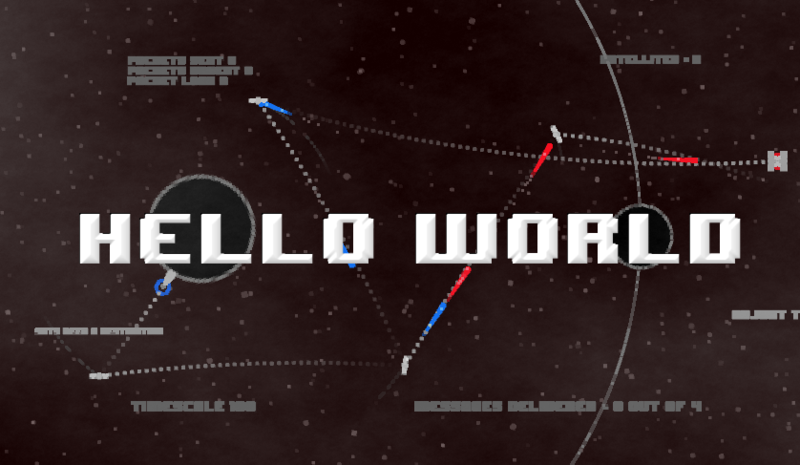 My game development project page is pretty much complete, have a look at that too! Utilities for converting PyTorch models to Keras and the other way around. More specifically, it allows you to copy the weights from a PyTorch model to an identical model in Keras and vice-versa. I created this tool out of my own need, and since open sourcing it it has been starred over a hundred times on GitHub. It is unique in the way it works from other tools, as it does not infer the model structure itself. That is where every other tool has the most difficulty (and often fails). In this tool instead you define the same model architecture yourself. Armed with access to a large corpus of hundreds of thousands of legal documents, the Legal Intelligence API, and the goal to innovate in search of legal documents we created Leegle (Legal Google). Leegle is an in-browser graph based legal document explorer, where documents are linked by common court cases and law references. The tool seamlessly integrated with the existing Legal Intelligence search engine using a simple Chrome browser plugin. The objective of this 24 hour hackathon was to create anything that could be of value to the Dutch intelligence service. With this vague problem statement, we talked to various stakeholders, and identified that a big part of preventing extremism is identifying those that may develop extremist views. We created TerrorFlow, a tool for automatically detecting individuals that are at risk of turning to extremism. This was done by identifying various objects in images and videos (e.g. burning flags, AK-47s) posted publicly on Instagram and Youtube, the results of which could be viewed in an in-browser tool. Wrote the most popular Kaggle kernel in the biggest yearly machine learning competi- tion. This kernel described how to preprocess and segment lungs in CT images. To this day it is still the most upvoted kernel of any Kaggle competition with prize money. Tackled the problem of identifying nerve structures in ultrasound images using a hybrid approach using classical computer vision features (SIFT) and an adapted version of the fully convolutional network Unet architecture. Applied a convolutional neural network approach to automatically diagnose diabetic retinopathy, which is the leading cause of blindness in the US, from retina pictures. Trained on GPUs on a large cluster, achieving better than human expert performance. Developed a deep learning method for automatically classifying plankton from low res- olution black and white images. Also helped develop a method for unsupervised feature extraction based on kNN clusters of image patches, which performed worse. As a hobby, I like to work on video games. I think they provide a lot of unique challenges development wise. Video games are the intersection of many types of art, and actually seeing somebody have fun experiencing what you created is the most magical thing. "Juice it or lose it" is my motto in game development (and anything that a user interacts with really). Juice can be described as anything that doesn't change the functionality of a program, but just makes it feel better. Ludum Dare is the biggest online gamejam that is held three times per year. In the solo competition, you are given a theme and 48 hours to create everything from scratch. That includes art, music and sound effects! 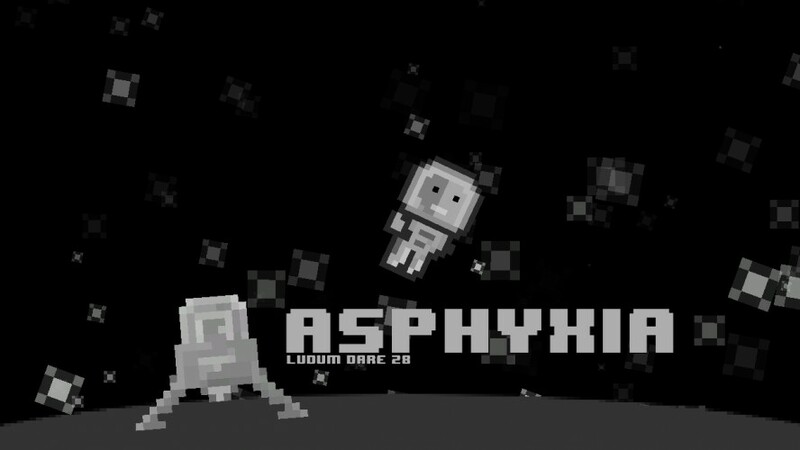 My first Ludum Dare entry, featuring a rather sad story and three mini-games. I was able to complete a much bigger game than I anticipated, and it was received pretty well. This game is what got me hooked on gamejams during university. [...] the opening is a tad slow. But the atmosphere and mood is perfect! Love the gameplay and design choice. I only had four hours for this gamejam, but managed to create a flappy bird-esque game. You are a submarine and can only steer and propel yourself underwater, so once you are out of the water all you can do is pray as you aim for the hole in the obstacle. In this game you place satellites in orbit and make a message transmission mesh to ensure cat videos can be sent throughout the solar system without package loss. Calm music, a parallax space scene, and an embedded police tracker (LAPD) make for an amazing atmosphere. Technically challenging game to implement (Phaser.js was not really made for this kind of game), but ended up being too hard. It was bang on with the theme though, reaching 6th place in theme. 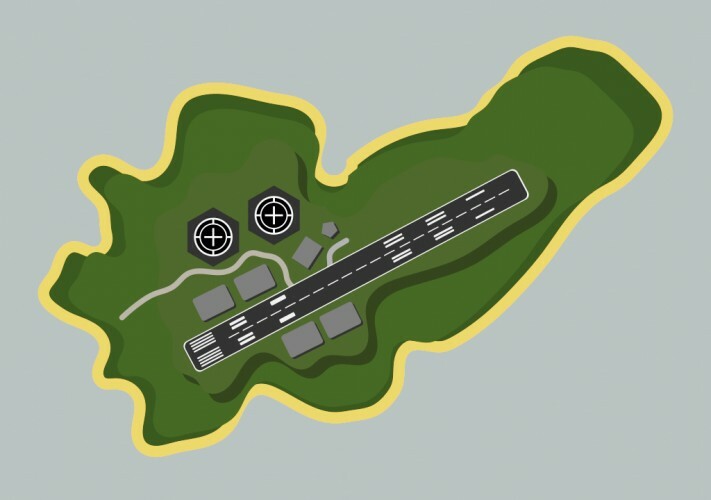 First game I applied a vector graphics style (made in Inkscape). 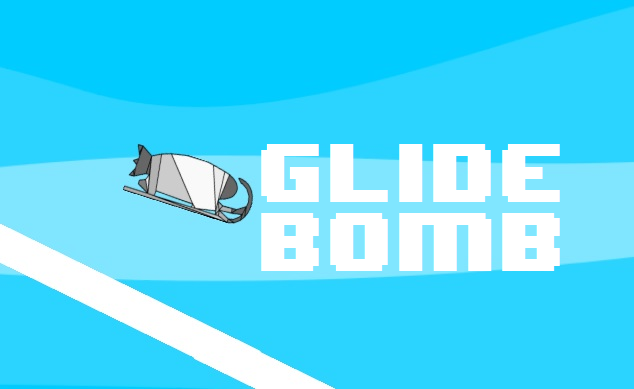 Line rider for bombs. It was alright. Bacon Game Jam is the continuation of the Reddit Game Jam, organised by the biggest subreddit for game development. The product of the first gamejam I ever participated in. In this game you avoid lights to infiltrate a base; it's a sneaking game, I was very proud to have finished it, and people seemed to like it :). This was actually one of the more purely fun games I played during the jam. Good job. I'd love to see you flesh it out. A very ambitious project for a 48 hour competition, a top down game in which you can unlock file spells to solve puzzles and beat enemies. I partnered up with an internet stranger who created some 3D assets. The review by Broxxar below sums up my learnings perfectly. An impressive amount of content and mechanics for a 48 hour jam, though some areas of the game felt like the needed a bit of polish. I think you could create a stronger jam game if you put quality before quantity. Great work on this though; a lengthy and complete feeling game is impressive in just 48 hours. 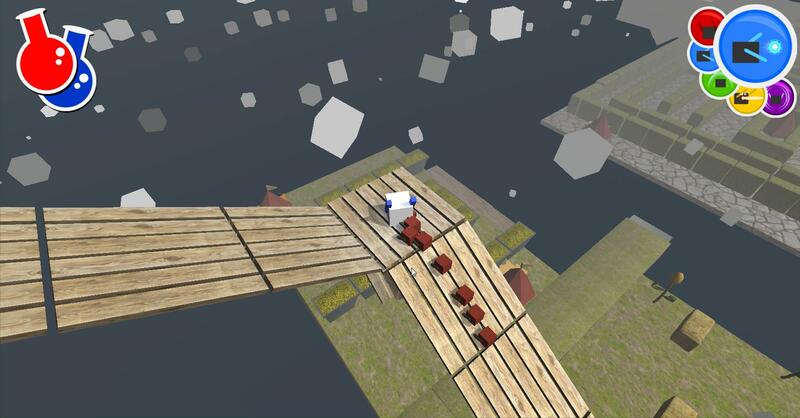 Chain Jam was a one-off gamejam in which all participants created a local multiplayer game that would then be played in succession with the other participants' games. Creating something similar to Mario Party mini-games. A simple local multiplayer game that tries to do one thing with a lot of juice and polish. 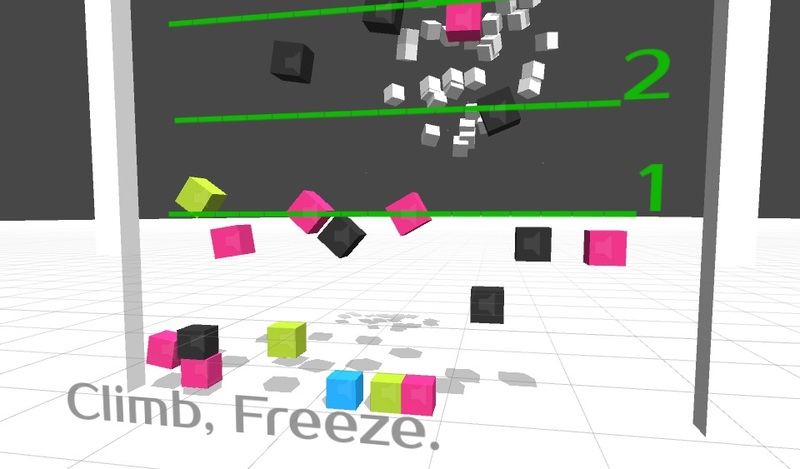 Players jump and then freeze themselves, creating a stepping stone for the next life. The goal is to get as high as possible. Created in around 5 hours. A one versus one slime soccer game, created to demonstrate the effectiveness of juice. Joris and I decided that it was worth creating a game in which we could introduce juice incrementally during our talk on game development as a hobby, Unity, and juice. The final product is a surprisingly fun game that I have seen friends play for hours (really). It has over the top screenshake, disco colour background, hitmarkers, music that keeps going faster, slow-mo goals, and more juice. I'm based in London by the way.